My parents were around at mine from Nigeria and my kitchen was super busy. You know why? I promised to make different meals especially Nigerian soups everyday for a week. 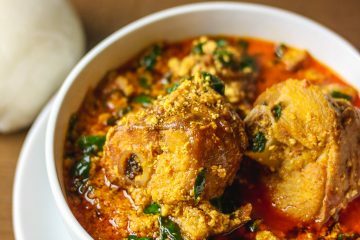 I made this efo elegusi soup on day 2 and it was loved by all. 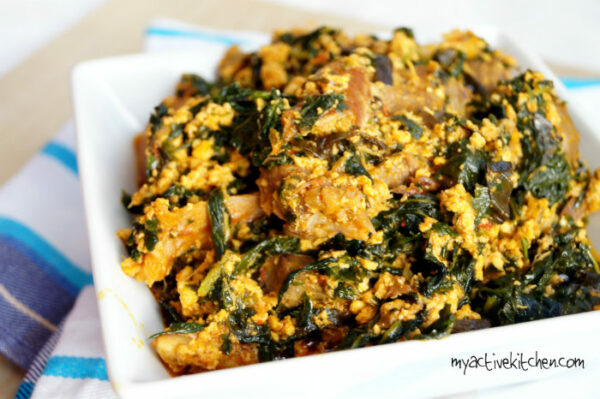 I used 3 types of vegetable leaves to cook this egusi soup and one of them is my favourite, uziza leaves. If you have been following me on this platform you would know about my obsession with this leaf. 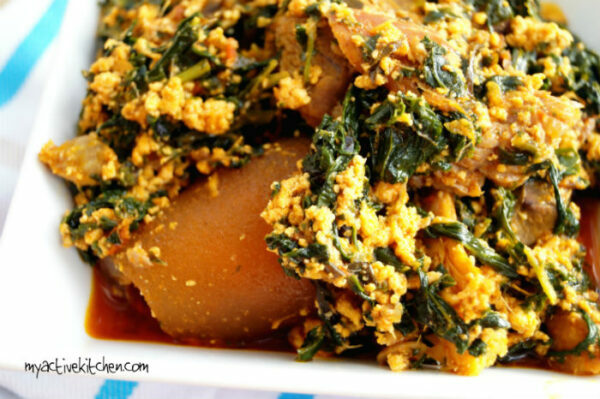 Egusi soup is traditionally cooked with 1 type of vegetable leaf and it could be waterleaves, bitter leaves or Ugu leaves. 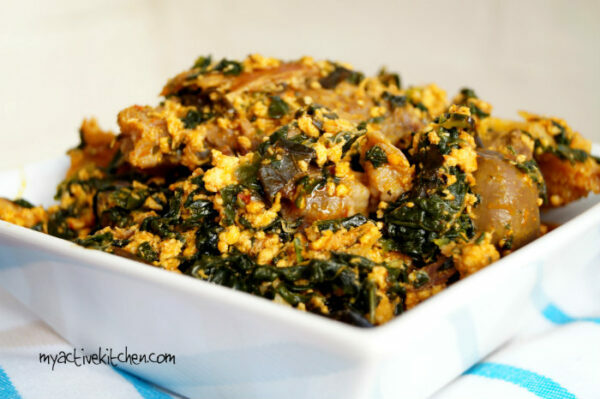 This recipe was born out of love, hehehe, just kidding, I had spinach and kale left over from the last time I made efo riro but truth be told, lots of love went into cooking this egusi soup. 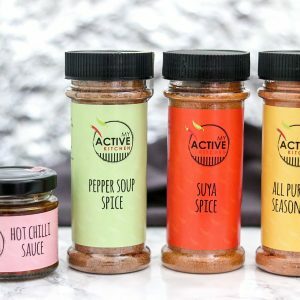 You don’t have to necessarily use 3 types of vegetable leaves but it would be nice if you get your hands on uziza leaves and use another vegetable leaf of choice. The aromatic flavour from uziza leaves takes the soup from zero to a hundred. 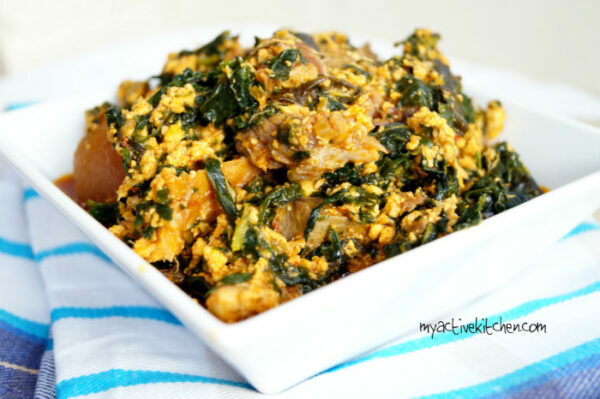 It is da bomb, if you’ve tried my ace efo riro here then you would understand what I am talking about. 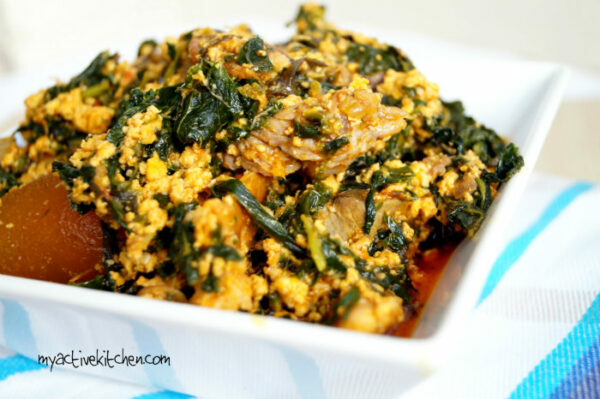 This egusi soup was made with the simplest of ingredients and it did meet up to expectation. Ok people, let’s do this. Get your pan and apron and let’s get cooking, to be honest, I didn’t measure any of the ingredients used so bear with me if the ingredients listed are not precise. Add the melon paste, reduce the heat and continue to stir till egusi start to form lumps. Keep an eye on it so it doesn’t burn or stick to the bottom of the pot. 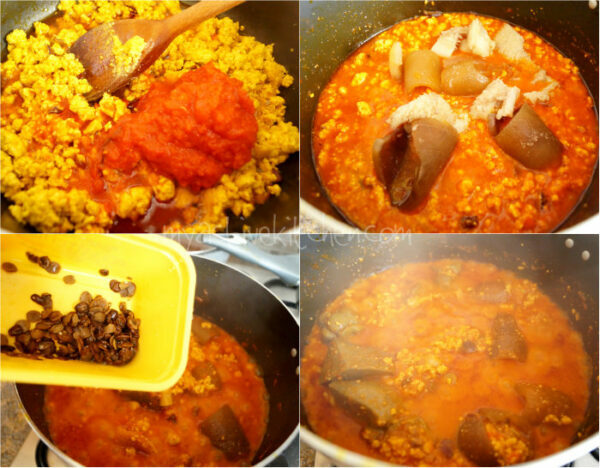 Add the blended pepper to the fried egusi (melon) and stir to combine, add stock or water to lighten the soup. Add the cooked assorted meat and bring to boil for about 15 minutes making sure you stir at interval. Add the locust beans and continue to cook for another 5 to minutes, check for salt and seasoning and add according to taste, shred the smoked fish into the soup and stir carefully to avoid breaking the fish. Add the vegetables to the egusi soup and stir till well incorporated into the egusi soup. 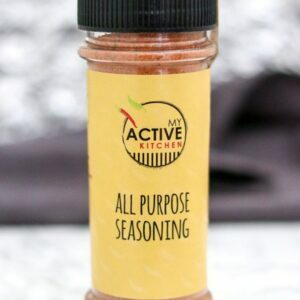 Add water if need be, check for salt and seasoning and adjust to taste. I tried your recipe to surprise hubby on the 1st Jan 2018 paired with Amala and it was the best meal so far and I loved it. Didn’t use Uziza and swapped Ogiri Ijebu for Iru 😋😋😋😋. 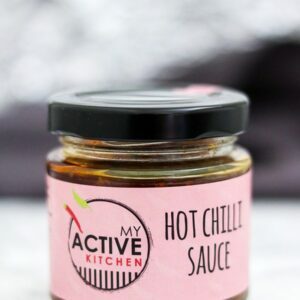 Also this is the 1st of your recipes to try, very straightforward and yummy. I need to nail puff puff and moin moin to the T!!! Leggo…. yay! thanks for the feedback, glad to know we got your hubby some yummy food to begin the year with. Happy new year! good work. pls what is kale? is it a leafbor what??? enlighten me pls. 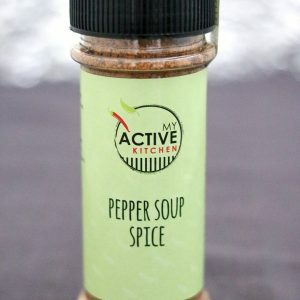 Am I to boil the blended pepper before adding or I don’t?